I read the novel last week. It reminded me a bit of The Devil Wears Prada . In both novels, the protagonist was at a job they didn't necessarily want and they had dragon lady bosses. They also wanted out, but found themselves totally immersed in the work, unable to distance themselves easily. Nan was just like Andy - an achiever, does really well at her job. No matter how good she is at it, and how over-qualified she may be for a nanny job, this isn't recognized by her employers. She also does not get the respect she deserves. 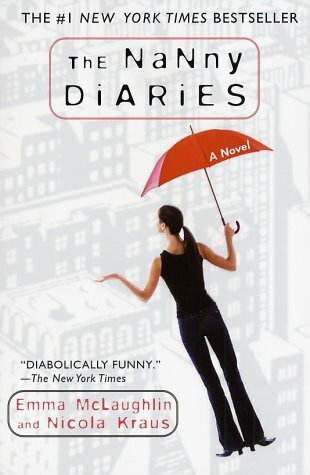 At first I was thinking how the novel was placing Upper East Side moms in a bad light, how it seemed to have been passing judgement on moms who could not take care of their children full-time and have had to hire nannies to do that. But eventually I realized that it actually pays tribute to all moms - every single one. Moms like Mrs. X actually takes the time to choose the right nanny for her boy, which means she tries to find someone qualified to be her child's primary caregiver. She wants someone who can help her son with his school work. I guess she admits she won't do much good in a primary caregiver role, and that means she needs to find someone who can. Maybe it at least tries to open their eyes a bit to see how their kids need more of their attention, and that isn't so bad. I love kids, but I don't think I'd do too well as a nanny. I can probably babysit for a few hours, but it's not something I can do on a daily basis, and certainly not full time. Sure I'm looking forward to having kids of my own, but that's different from caring for someone else's. There are Pinoy nannies the world over - rearing children of other families, while they leave their own kids back home thousands of miles away. Filipinos have learned to take pride in this fact. In fact, Princess Lara Quigaman won a beauty pageant where she was asked about this very topic. What's to be proud of being a nation known for it's nannies? Well, it means that we know children and how to raise them. It means that we can be trusted with the care of the most important members of families and societies. We can influence the lives of young minds. We play a big role in building future leaders.